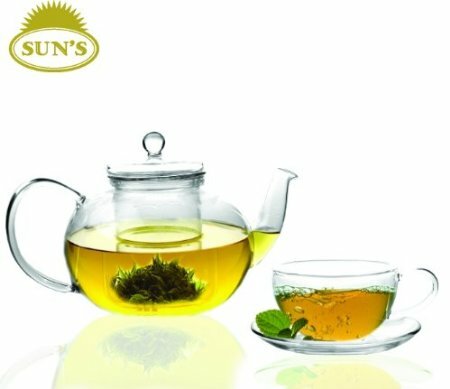 This teapot made from ultra-clear borosilicate glass can hold about 5 cups of tea which is perfect for your tea drinking sessions with family. The infuser and its lid are made from ultra-clear glass as well which means you will have a beautiful visual of your tea once brewed. The teapot can go into your dishwasher or microwave with no repercussions.